Advanced Services offer the expertise, knowledge and skills of a big Web and Graphic Development Company with the affordable prices, exceptional service, and personal attention that only a small, Bermudian company can offer. We take pride in our work and offer a wide-variety of Web and Graphic services including marketing to fit the requirements and budgets of small businesses. 1. 15% off all our Web and Graphic Development/Design services including eCommerce Integration SEO, Branding Design, Graphic Design, Marketing and Website/E-mail hosting. 2. Multiple free add-ons such as photo/video galleries, event calendars, blogs, newsletters/mailing lists and website/email hosting with every new website developed for BEDC members. 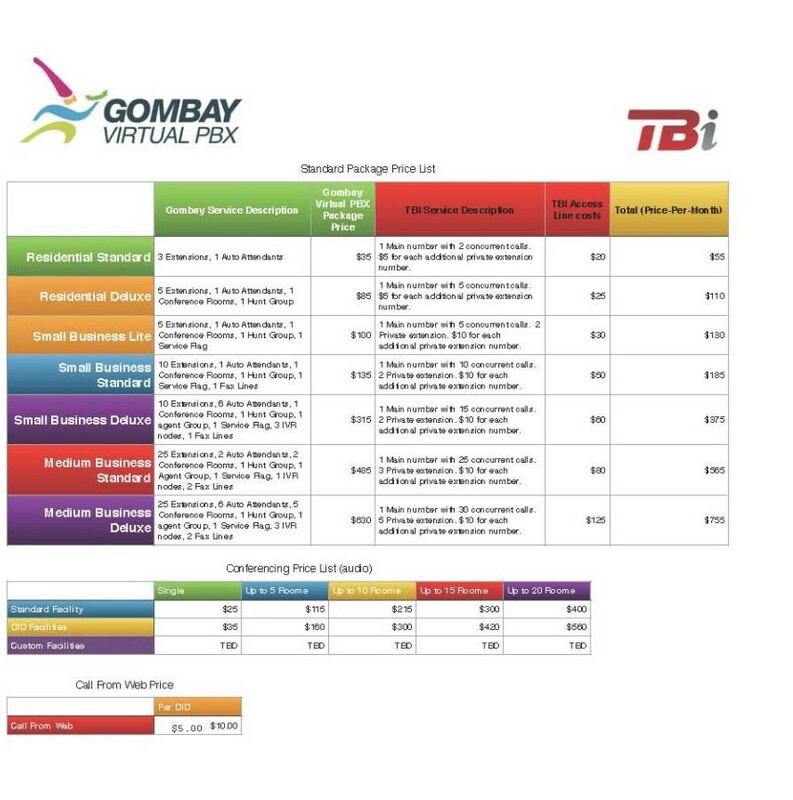 Gombay is a Virtual or Cloud-based service that allows businesses, small office/home offices and residences access to all the benefits of an advanced PBX (Private Branch Exchange) telephone system that large businesses use, but without the required significant investment. Professional Image, Flexibility. Cost Effectiveness, Affordable Upgrade Path & Enhanced Risk Management.